Stroll past Columbus Circle on Eighth Avenue from now through September 11 and you might run into an unusual sort of vending machine. It accepts only plastic bottles as currency, for one thing. 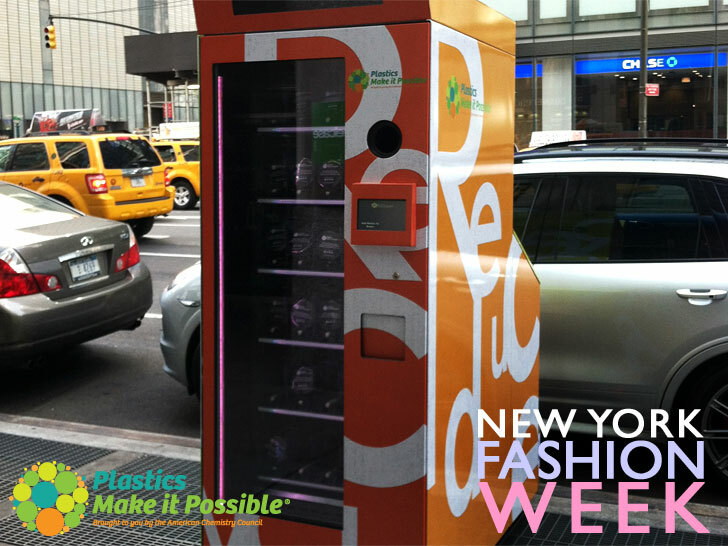 It also dispenses limited-edition T-shirts, composed of recycled plastic fabric, in lieu of snacks or drinks. The contraption, whose debut coincides with New York Fashion Week, is the work of Plastics Make It Possible, an initiative sponsored by the American Chemistry Council’s plastics division to spotlight the growing role of recycled plastics in fashion. Planet-friendly designer Allison Parris, who has herself embraced the material, created the prints featured on the shirts. Fabric derived from recycled plastic bottles can be manufactured in a variety of weights and textures. To produce the T-shirt material, discarded plastic bottles are cleaned, melted, and stretched into a fine thread, which is then woven into fabric. Because the fabric can be manufactured in a variety of weights and textures, both high-end designers and mainstream brands are able to employ recycled plastics to make everything from “stylish party dresses to trendy shoes to rugged outdoor jackets,” according to Steve Russell, vice president of plastics at the American Chemistry Council. Stroll past Columbus Circle on Eighth Avenue from now through September 11 and you might run into an unusual sort of vending machine. It accepts only plastic bottles as currency, for one thing. It also dispenses limited-edition T-shirts, composed of recycled plastic fabric, in lieu of snacks or drinks. The contraption, whose debut coincides with New York Fashion Week, is the work of Plastics Make It Possible, an initiative sponsored by the American Chemistry Council's plastics division to spotlight the growing role of recycled plastics in fashion. 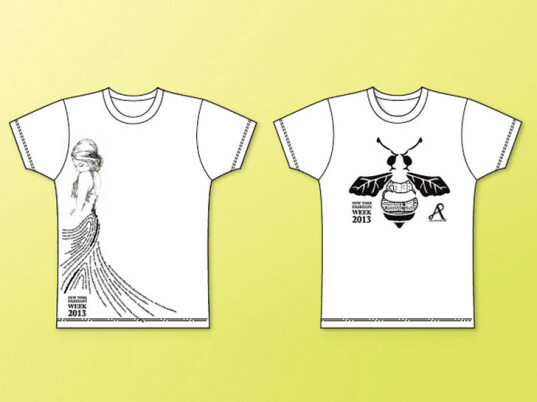 Planet-friendly designer Allison Parris, who has herself embraced the material, created the prints featured on the shirts.